The roof is one of the most important aspects of your home. It shields you from the outdoor elements and keeps you comfortable and safe. These structures have a very long lifespan and will last for years before they start showing signs of wear and tear. When that happens, you need to replace your roof.Replacing a roof is a big investment and most home owners want to ensure that the money they spend is worth it. They want their roof to look beautiful and function well. But it’s at this juncture, people find themselves stuck. Most home owners find themselves struggling to decide between metal roofing and asphalt shingle roofing.Asphalt shingle roofs have been a popular choice for many years now, but metal is slowly gaining ground as well. Here are some considerations that would help you make a well-informed decision. You can also visit construction.com for a detailed review of metal roof material and its benefits. Most home owners are concerned with the lifespan of their roofs. If they’re going to pay thousands of dollars to a roofing company in MA, they want it to last for a long time. Metal roofing will win the contest of durability without question. Asphalt shingle roofs will last anywhere between 10 and 15 years. If you maintain the roof well, it might even last for 20 years. Eventually, you will have to replace the shingles and endure that massive expense once again. On the other hand, metal roofs are incredibly durable. You can easily expect them to last for 50 years without causing many problems. This appeals to many home owners and is one of the reasons why there is a rise in the popularity of metal roofs. If you’re on a tight budget, a metal roof might not be an option for you. It’s at least two times more expensive than asphalt shingle roofs. Potential buyers hesitate to purchase this roof because the upfront cost is very high and that’s not the kind of investment they can always afford to make. Moreover, metal roofing takes time, effort, and skill, leading to high labor costs. An asphalt shingle roof is more affordable and will still look good on any home. However, you need to consider the cost of ownership. 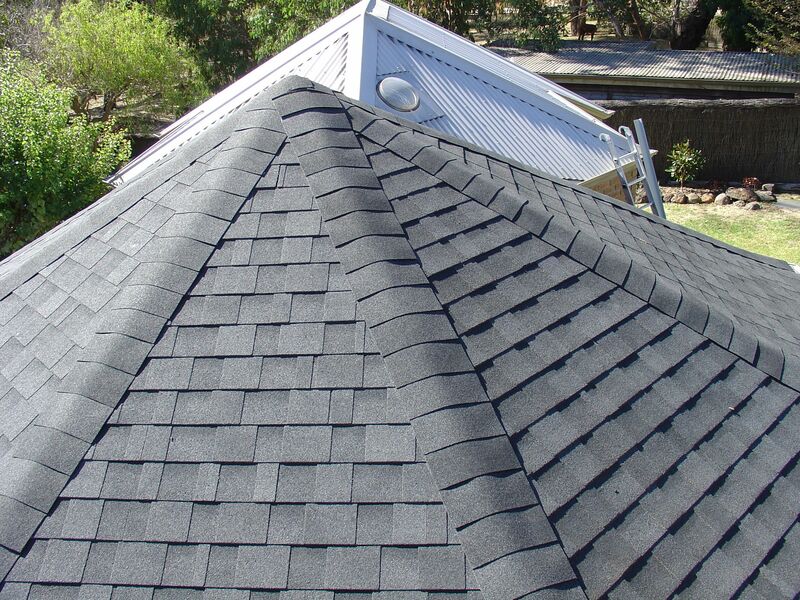 Asphalt shingle roofing has less than half the lifespan of metal roofs and requires a lot of maintenance. They’re also more vulnerable to the elements and get damaged easily, leading to expensive repairs. Needless to say, you’ll end up spending more on an asphalt shingle roof over time than you would on a metal roof. Asphalt shingle roofs can be damaged by weather conditions like hail, excessive rainfall, snow, and exposure to the sun’s UV rays. Of course, the technology has now improved, and asphalt shingles are becoming more resilient. But a roofing company in MA will tell you that this material still can’t compete with metal. Metal roofs can withstand extreme weather conditions without sustaining too much damage. The material won’t degrade under the snow or become damaged by the sun’s rays. However, metal is known to expand and contract under the influence of the weather. That can cause problems. You need to choose good quality roofing in MA to minimize this problem. Most home owners don’t know that the weight of the roof has a significant impact on the integrity of the home. A lighter roof places less pressure on the frame and beams of the house. Asphalt shingle roofs are quite heavy and can weigh about 2 to 5 lbs per square foot. Metal roofing is lighter and can weight about 1.5 lbs per square foot. Because the material is so light, contractors can easily install it over the existing shingled roof without compromising its structure. Many home owners are under the impression that metal roofs might result in an increase the temperature inside the house in the summer months. That’s not the case; current day metal roofing has a reflective paint coating. This reflects sunlight and heat instead of absorbing it, keeping your home cool. However, asphalt shingles, particularly dark-colored ones, will absorb the heat and increase the indoor temperature. However, asphalt shingles will help keep your home warm during the winters. They aren’t recyclable and once they’re removed, they need to be discarded and that places a burden on the environment. On the other hand, metal roofs are reusable and recyclable. That’s why many customers prefer metal roofing to asphalt shingle roofing. Nevertheless, you should choose a roofing material according to your budget and preferences.